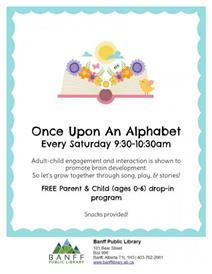 Stop by the Banff Public Library every Saturday and play, sing songs and tell stories. This program is for children 0-6 years of age and their parents. Snacks are provided. No registration required.